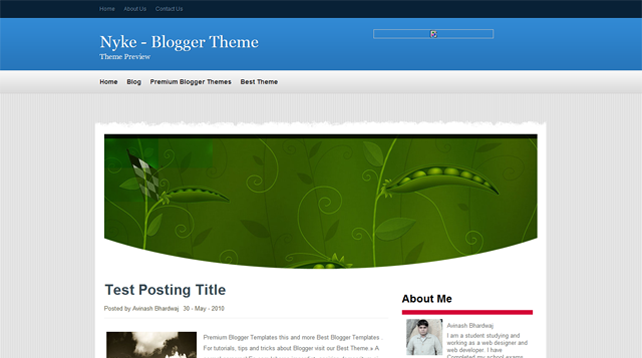 Nyke Blogger Template is another beautiful blogger template which is modified and converted by us from WordPress template. Nyke blogger theme is perfect theme styled in the blog style and used a perfect color combination with stylish nevo slider. It has footer widget, a widget based navigation bar and custom popular post widget installed in this theme. It is very simple and and good layout.